Nissan Motor Co. Ltd. chief executive Carlos Ghosn told reporters in Japan today that Nissan and French partner Renault SA will sell 1.5 million fully electric vehicles by 2016 and will invest $3.9 billion in new environmental technology by the end of Nissan’s 2017 fiscal year. Through September, Nissan sold 7,199 of its Leaf electric cars in the U.S. but plans to add three more EVs to its lineup by the end of 2016. Some have questioned the slow start to Leaf sales, but production was hampered by the March 11 earthquake in Japan that curtailed manufacturing for many crucial component-makers in Japan and abroad. 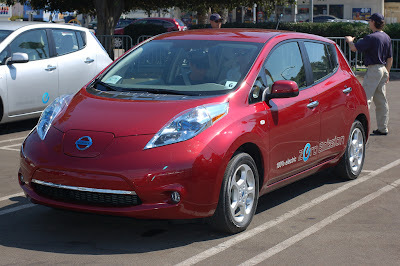 Nissan plans to initiate production of batteries for the Leaf next year in a facility at its U.S. assembly plant in Smyrna, Tenn. Several competitors, including Ford Motor Co., Mitsubishi Motors Corp. and General Motors Corp. also plan to launch EVs next year for the U.S. market.